During this step, we determine the scope of our relationship, define the work to be done by each party and set a schedule for deliverables. Depending on the nature of your situation, this step could be conducted in person or over the phone. To strive to ensure a quality output from the process, we need to ensure the quality of the input data. We will ask to see, "everything with a dollar sign attached," and conduct a detailed discovery interview to better understand you and your objectives. This step is usually done in person to better capture the completeness of your situation. After the information gathering is complete, we create a model of your financial situation to uncover the strengths and weaknesses. We'll review all of your investment and retirements assets, liabilities and insurance policies. It is not uncommon to have a phone call or email during this stage to clarify the data provided or seek additional data based on the analysis. Based on your goals and our analysis, we will create an overall plan to present to you. This plan will be action-oriented and ready to implement. Once we understand and agree on the action steps presented, we will get right to work, shifting accounts, updating portfolios, changing beneficiaries, coordination with other advisors - doing whatever is necessary - to turn the financial plan into reality. Perhaps one of the most important part of the whole process is providing periodic updates on the progress made toward your objectives. 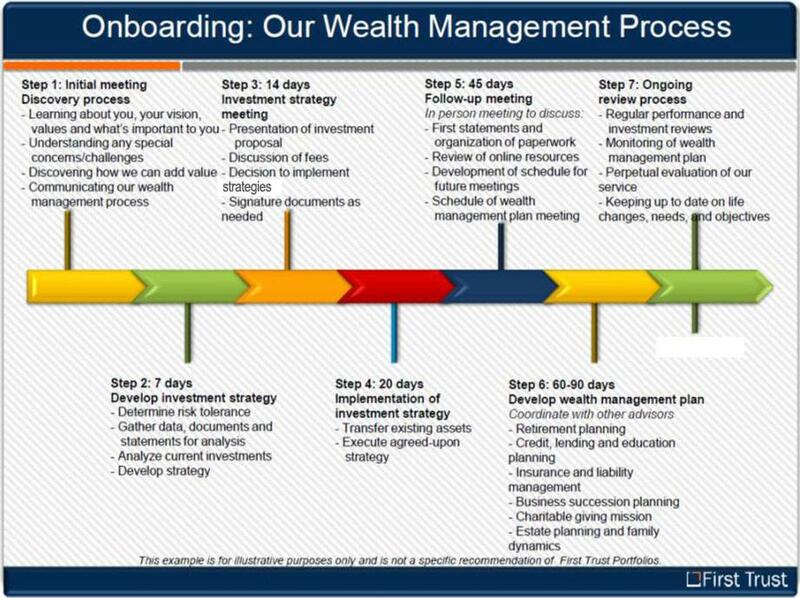 Through our WealthVision™ tool set, we can jointly monitor your progress. Significant changes in your family or financial situation can be remodeled quickly and easily.